Our new spa is focused on providing you with an unforgettable sensory experience. 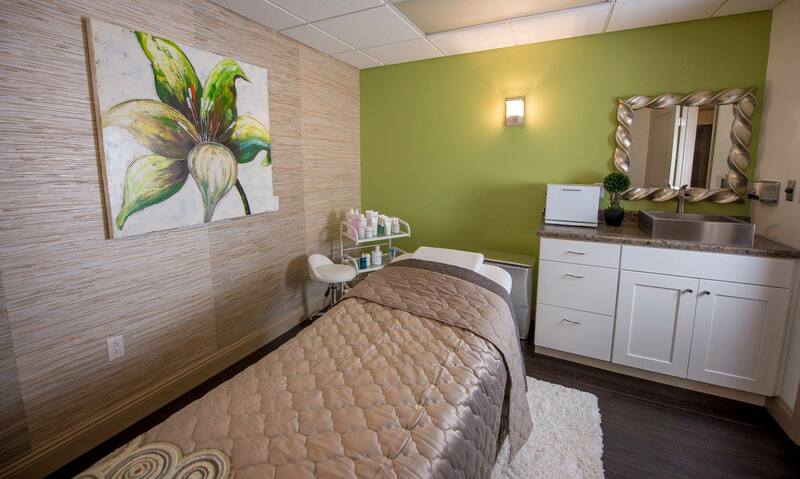 All of our treatments incorporate a unique aspect, such as soothing aromas, stimulating massage, heated skin-nourishing masks, and an unforgettable feeling of rejuvenation that will be remembered! 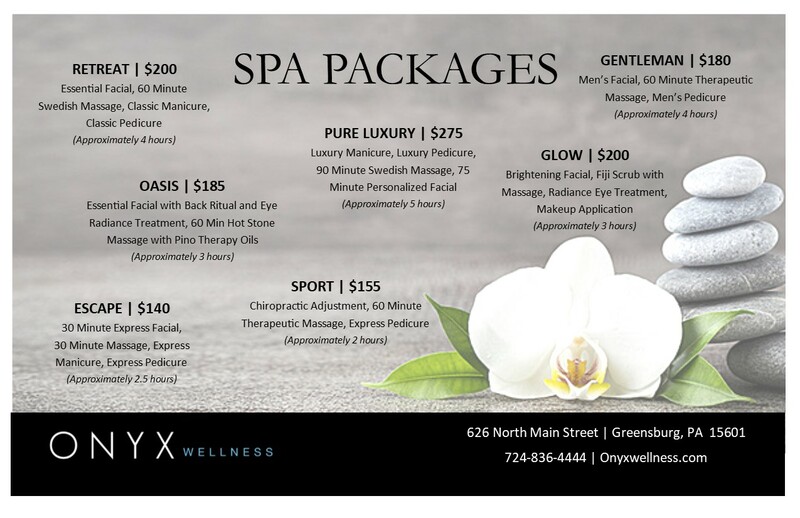 Currently, spa services are only available at our Greensburg location. Utilizing all natural European professional skincare lines. A multi-active vitamin enriched treatment customized for each skin type. Flax seed, wheat germ, and sunflower seeds combined with pure essential oils promotes hydration, cellular regeneration, and a deep sense of relaxation. Includes hand, neck, and scalp massage. Everyone’s skin is different! 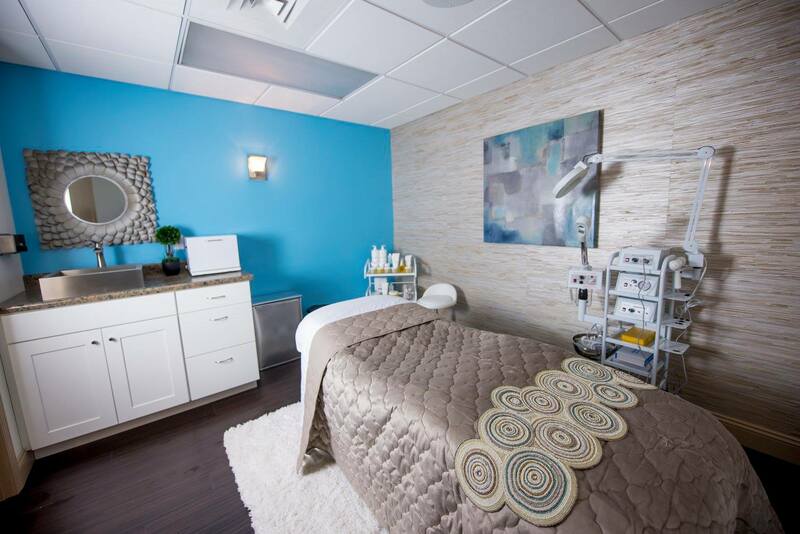 This custom facial is tailored to your needs and skin type. Our experienced and expert estheticians have many unique options available to make your facial the most beneficial and relaxing service possible. This wonderful calming treatment brings immediate relief to stressed and sensitive skin. Essential oils of rose, neroli, and chamomile with plan extract of blueberry and licorice sooth and re-balance the skin, reducing redness to reveal a more even, radiant complexion. Includes back ritual, hand, neck, and scalp massage. This intensive treatment incorporates pure Vitamin C and a plant derived White-Bright complex to reduce the appearance of hyper-pigmentation and brighten the entire complexion for truly radiant skin. Includes back ritual, hand, neck, and scalp massage. Re-energize, firm, and tone the skin with this facial featuring a unique thermal mask for an unsurpassed sensory experience. Powerful plant extracts fill wrinkles from within, increase the production of collagen and elastin, and help strengthen and nourish the skin’s natural barrier. Fine lines and wrinkles are softened and the complexion appears naturally radiant and youthful. Includes back ritual, hand, neck, and scalp massage. NEW! HYDRA SKIN REFINER ~ (45 min) — $125 — A new breakthrough in aestetic technology. The Hydro Facial treatment removes dead skin cells and extracts impurities while simultaneously bathing the new skin with cleansing, hydrating, and moisturizing serums. This treatment is soothing, refreshing, non-irritating and immediately effective. A traditional Swedish Massage using gentle to medium pressure is used to soothe the mind, relax the body, and invigorate the senses. Customized techniques combined with deep tissue massage to address your specific concerns while promoting health and athletic performance. This relaxing massage uses warm stones to create a sense of balance and calm to help stimulate circulation while providing relief to heal aching muscles. The ultimate in luxury pampering, this purely indulgent full body massage is performed using the warm essential oils of a PINO aroma candle that also adds a wonderful aroma to your room. PINO aroma candles contain coconut oil which is particularly nourishing and hydrating after your skin treatment. 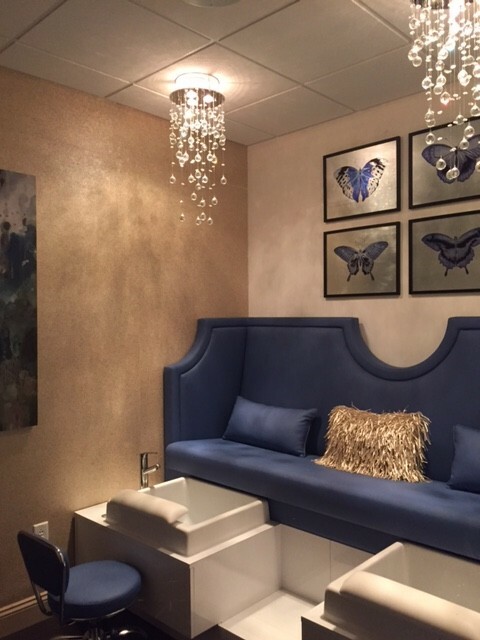 Enjoyed in the comfort of our beautiful couples room, our expert therapists will customize a massage experience for each individual in an intimate setting for two. This harmonizing treatment using our natural Honey Ginger oil and Massage Candle, immune boosting Massage Honey, and Propolis Beeswax Pad revitalizes the body with rhythmic massage techniques to relieve tension. Pressed for time? No worries! We’ve got you covered with our express manicure. Includes nail trimming, shaping, filing, light lotion, and your choice of polish. Featuring our detoxifying charcoal products, we shape and tidy your nails then follow with warm towels, hand massage and nail polish application. A perfect treatment for anyone with overworked hands! Treat yourself to our luxury manicure featuring our charcoal scrub and mask to eliminate toxins and dull skin. Also includes shaping, buffing, warm towels, an incredible massage and polish. Perfect for those short on time! Includes soak, nail shaping, callous removal, lotion and your choice of polish. Relax your feet in our peppermint soak while we pamper your toes. Includes light scrub and massage with our detoxifying charcoal products. Finish with polish of your choice. Indulge in our luxury pedicure where you choose your scent and package! Sit back and enjoy our lavish soak tub. Includes soak, scrub, mask, massage cream and warm towels. Finished with polish. Please allow an additional 10-15 minutes to service for gel. Our wax treatment technicians take the utmost care to protect the health and elasticity of the skin. Wax is applied warm, then removed gently, leaving skin absolutely smooth. We ask that you please arrive 15 minutes prior to your appointment. If you are delayed, your service time may be decreased. Missed appointments will be charged at the full rate of service. A 24 hour notice is required for cancellation without a fee.